Nian gao is not just for Chinese New Year. It makes great party finger food too. Every year the mother will buy several sweet nian gao and freeze them for later use. High in sugar content, the glutinous rice cake keeps well. 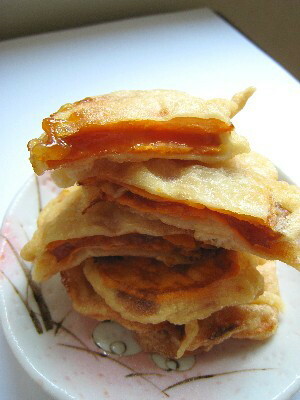 Whenever there is a casual get together, she will fry up a big batch of nian gao with sweet potato or yam. Crispy with a sticky gooey filling, I will be pinching the hot slices right off the fryer and eating them at the risk of burning my mouth. Did You Buy A Menu For Hope Raffle Ticket? LIKE ME! I am so thrilled to have won the Star Wars memorabilia. The Brother who is a Star Wars geek fan will be very happy with the early birthday present of the Chewbacca bust. Congratulations to suitcasegnome. You have won the Zen V Plus! Please send me your contact details using the same email address you have given on the donation form so that I can mail the mp3 player and the bonus mystery prize to you. A new camera and hopefully better photos. Your life might be simple but it was well lived. We are all going to miss you. Happy Dong Zhi! Today, we had tang yuan in two styles. 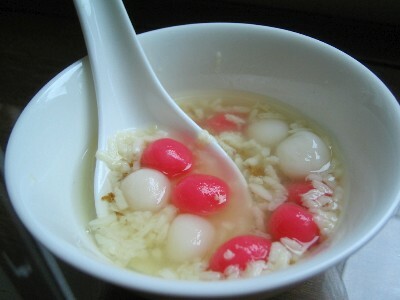 There is the usual tang yuan in brown sugar syrup and this: tang yuan with jiu niang, a kind of fermented glutinous rice popular in the Jiangsu, Zhejiang region of China. I first tasted jiu niang tang yuan in Shanghai. The winey rice grains and chewy tang yuan in a hot, sugary broth served with a dollop of osmanthus syrup 桂花酱 was perfect to warm the body on a freezing winter day. A few months ago my aunt had sent me some wine yeast so that I can make my own jiu niang. This first attempt was not very successful as the rice mixture had over ferment. It was edible but the texture was not quite right. I will need to try a few more methods before posting a workable recipe. While the jiu niang did not turn out that well, the homemade osmanthus syrup was a hit. 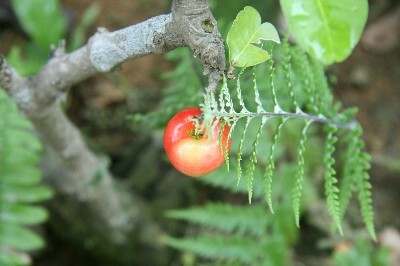 The floral, apricot scented sweetener is a delicious addition to jiu niang, tea and even yogurt. 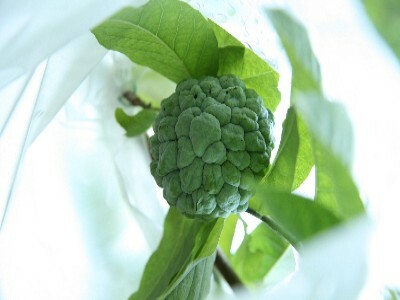 Photograph of the Father's precious custard apple tree courtesy of the Brother who was playing with his fancy new camera. Now I think I want a new camera too. I have a love hate relationship with coriander. Growing up, I detested the fresh herb and would drive the Mother crazy throwing out every piece of coriander in my bowl. As an adult, I still find the taste of coriander really vile and the Mother has never stopped scolding me for discarding the coriander in dishes we eat. When I started cooking, I would only use coriander for garnishing. My relationship with the pungent herb only changed when I became interested in Thai food. 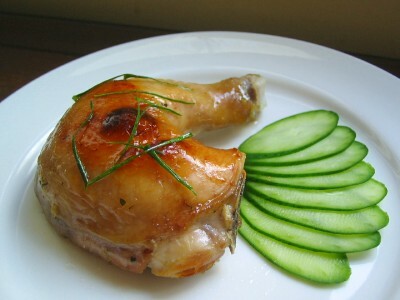 To be specific, it is the Thai combined usage of pepper, coriander roots and garlic in marinades and stir fries. On its own, coriander smells like a gas leak to me but when pounded into a paste with pepper and garlic, something magical happens. The first time I made the paste, I found the aroma so enticing I could not stop sniffing my fingers. I realised that I like using coriander roots and seeds to season food, just do not make me eat the leaves. Other than Thai braised pork belly, my favourite use of the coriander, pepper and garlic paste has to be for Gai Yang. David Thompson's Thai Food has a good, authentic recipe and I love to add lemon grass or kaffir lime leaf to the marinade for extra zing. I will roast the chicken in the oven at 200 degree Celsius for about 20 minutes and then use the broiler to crisp up the skin. Not quite like the street vendors in Thailand who barbecue the chicken on a charcoal grill but easy and fuss free for the home cook. This rustic dish came about when we had some left over Chinese roast pork belly. The Family liked it so much we now buy extra to cook the dish. 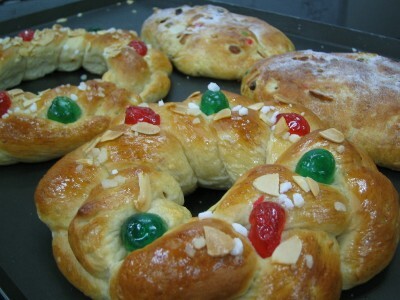 Then again, it could be just a ploy to eat more. We do like to eat roast pork belly very very much. I adore daikon braised with meat because they complement each other so well. 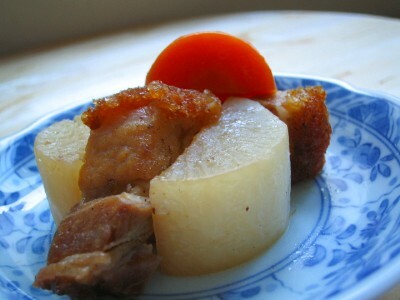 Here, the daikon absorbs the sweetish savoury braising liquid and takes on the smoky flavour of the roast pork. No oil is added as the fat in the pork belly is quite sufficient to brown all ingredients.